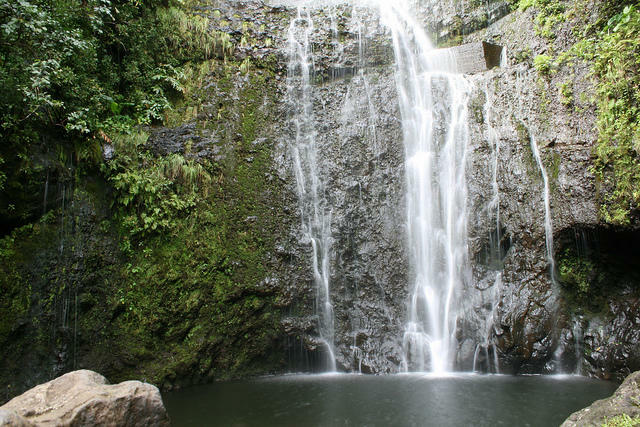 Streams in East Maui from Nahiku to Wailua, Keʻanae to Honopou are flowing once again. Water trickling down Wailuanui Stream in East Maui. The stream is one of ten streams ordered to full restoration by the state Water Commission last week. Full restoration ensures enough water will remain in the stream for public trust purposes. Last week the state Commission on Water Resource Management ordered the end to diversions of water from the East Maui watershed by Alexander and Baldwin’s subsidiary East Maui Irrigation Company. “The return of those natural flowing streams after having been diverted for over 100 years is an unprecedented ruling,” says Summer Sylva, an attorney with the Native Hawaiian Legal Corporation (NHLC). 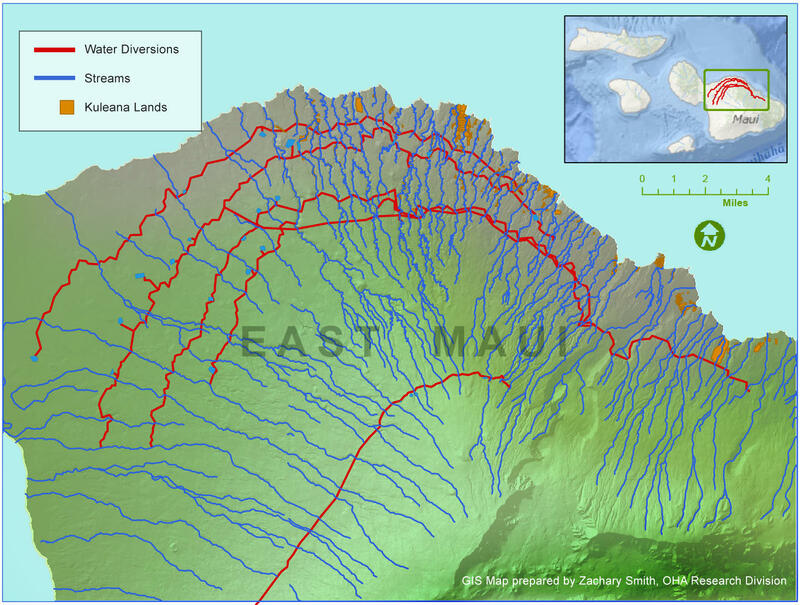 A map of East Maui streams (blue) and the diversions (red). 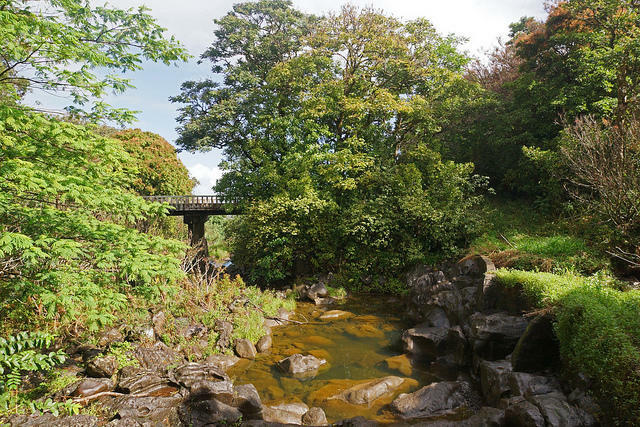 Since the East Maui Irrigation System began construction in 1870, water has been hauled from these streams to feed the thirsty sugarcane crops in Central Maui. “Back in 2001, the Native Hawaiian Legal Corporation on behalf of our clients Na Moku Aupuni o Ko’olau Hui, Lurlyn Scott and Stanford Kekahuna, filed petitions to establish minimal stream flow standards for, at the time, 27 streams,” says Sylva. “And that’s important to keep in mind because there were no minimum stream flows,” says Camille Kalama, an attorney with NHLC. 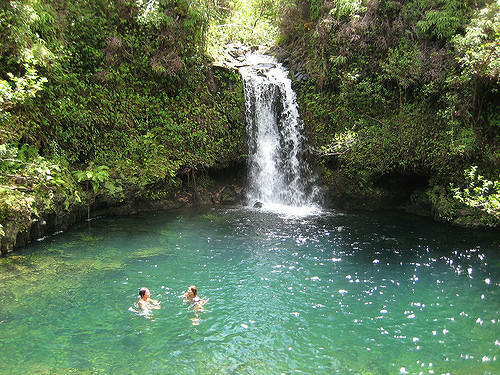 A swimming hole near Pua'a Ka'a Falls in East Maui. Recreation is one of nine public trust purposes protected by the state by leaving water in the stream. “In other words the amount of water that has to remain in the stream to protect all the public trust purposes including growing kalo, supporting native stream life for gathering purposes, recreation...before allowing any of that water to be diverted for commercial use,” says Kalama. Water in Hawai’i is a public trust resource, protected under the state Constitution and Water Code. But for at least 150 years, water was managed as a private commodity mostly by plantation disrupting the free flow of streams from the mountains to the sea. Pu'unene Mill in Central Maui was run by Hawaiian Commercial & Sugar up until 2016, when the company harvested it's last crop. 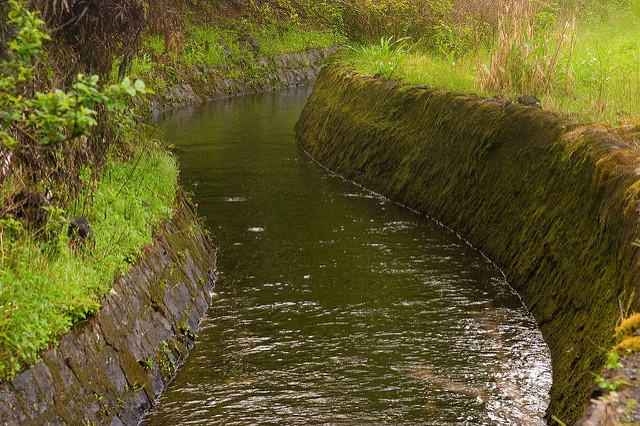 Since then, the operator's parent company Alexander & Baldwin was ordered to partially restore stream flow to East Maui by removing century-old diversions of it's East Maui Irrigation System. As plantation agriculture phased out, communities went to battle for stream restoration. That’s the equivalent of nearly 250 Olympic-sized swimming pools. The Commission decided to continue diversion of a portion of water from Waikamoi Stream to provide drinking water to Upper and Lower Kula. The Commission in its 300-page decision restored streamflow to 25 of the 27 streams. “Its precedent setting as well for the kind of balance I think it was able…or strived to achieve anyway,” says Sylva. In this case, the Commission allowed water to be hauled off stream to provide drinking water to Kula residents and irrigation water for the development of diversified agriculture in Central Maui. The taro patches of Ke'anae, Maui. Taro cultivation is recognized as a public trust purpose under Hawai'i's Water Code. Alexander & Baldwin spokesman Darren Pai says they are still reviewing the lengthy decision and its impact on the companyʻs long-held goal of putting former plantation land into sustainable, diversified agriculture. Nonetheless, Kalama says, the communities in East Maui are already getting to work. 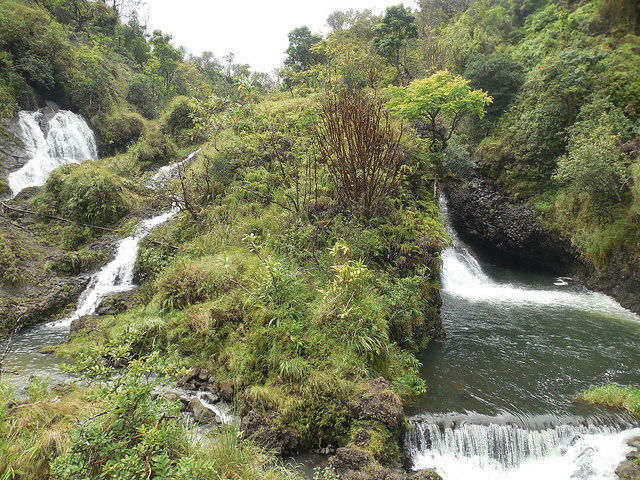 Makapipi Stream is one of ten East Maui streams that was orderd to be fully restored by the Commission. The decision will return free flowing water to Makapipi, which has historically supported significant taro cultivation downstream. “They’re not waiting and they haven’t been,” says Kalama. These streams have historically supported significant taro cultivation. 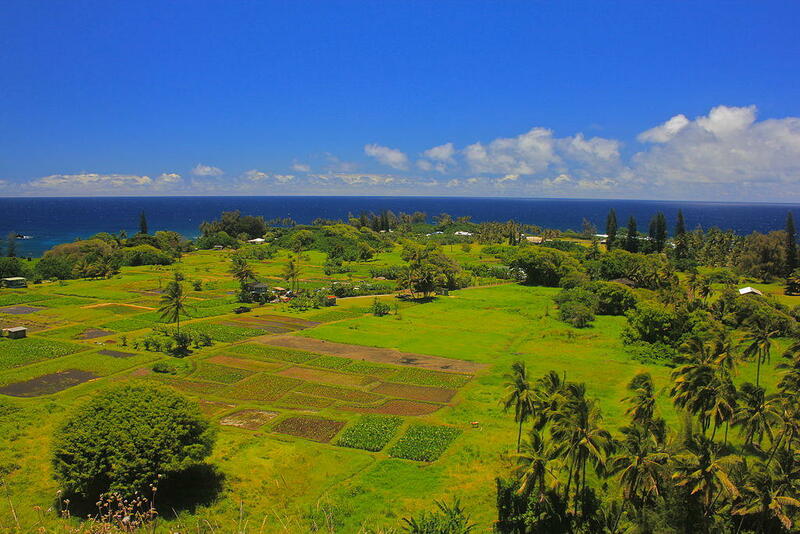 “They’re bringing the new generations back in and they’re opening lo’i, they’re farming as we speak, and now they’re starting to be able to harvest some of the first crops from the kalo that they planted,” says Kalama. Where’s the water and who gets it? Our panel takes a big picture look at Hawai‘i’s available water for urban, agricultural and cultural use…and competing interests that aren’t going away. Guests: Bill Tam, former DLNR Deputy Director, retired from the Water Commission; Tom Giambelluca Professor of Geography, UH Manoa; and Kapua Sproat, Assistant Professor with Ka Huli Ao Center for Excellence in Native Hawaiian Law and the Environmental Law Program. Alexander & Baldwin announced today that it will stop diverting water from priority streams in East Maui as soon as possible. The company announced its plans at a news conference with key state lawmakers. HPR’s Wayne Yoshioka reports. Hawai‘i’s Board of Land and Natural Resources approved a one-year permit to Alexander and Baldwin that will allow them to continue diverting water from streams in East Maui. Once upon a time in Hawai‘i, sugar was king. The industry powered politics, wealth, and helped form the identity of the Aloha State’s population. 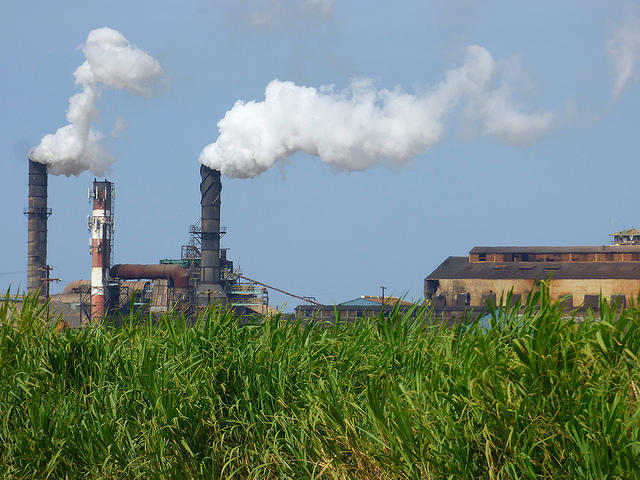 The closing of the sugar operations of Hawaiian Commercial & Sugar Company signifies the end of an era.